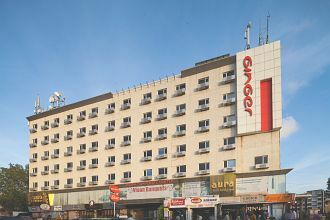 This self check-in hotel in Mumbai is strategically located at a distance of six kilometers from the airport and just 5 kms from the Andheri railway station. Bearing a total of 91 tastefully appointed rooms equipped with hi-end amenities, makes for a comfortable and relaxing stay. Square Meal, an in-house multi-cuisine restaurant serves delicious meals whilst Square Meal 2 is an ideal place to enjoy scrumptious food. There is also a conference room provided for the business guests.